CHARLOTTESVILLE, Va. (CBS19 NEWS) -- A former University of Virginia student serving a life sentence for double murder now has an internationally-renowned human rights attorney on his legal team. 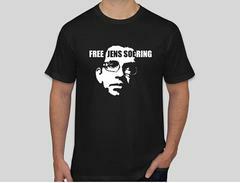 Canada’s former Minister of Justice Irwin Cotler, who has represented political prisoners including Nelson Mandela and Egyptian democracy activist Saad Eddin Ibrahim, is joining the legal team now fighting for Jens Soering’s freedom. “Everything points in the clear direction of his innocence, and after some 35 years of deprivation of liberty, the right thing to do, the just thing to do is for him to be freed," said Cotler, who reviewed the evidence in Soering’s case and met with him in prison on Tuesday. Soering, a German citizen, was convicted of the 1985 slayings of his college girlfriend’s parents, Derek and Nancy Haysom. He confessed to the crime but has long maintained it was a false confession given to protect his girlfriend, Elizabeth Haysom, who was also convicted. 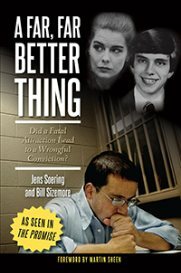 In the past several years, new evidence has emerged that supports Soering's claims of innocence. Fresh DNA testing excludes Soering from blood samples found at the scene. No physical evidence connects Soering to the scene of the crime at the Haysoms’ home in Bedford County. Law enforcement professionals including Albemarle County Sheriff Chip Harding have called for Soering’s release, and Soering’s attorney, Steve Rosenfield, has filed a petition for pardon that remains under investigation by Governor Ralph Northam’s administration. Soering's case has political history. Governor Tim Kaine agreed to transfer Soering to a prison in his native Germany in 2010, but Governor Bob McDonnell reversed that decision. Soering was denied parole by the Virginia Parole Board for the 14th time in January. A spokesperson for Northam did not return a call requesting comment.